Every maker has a story. 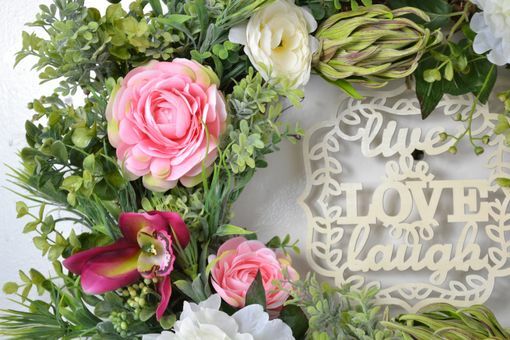 Be a part of Blooming Decor's story by placing an order, leaving a review, and seeing your review appear here. 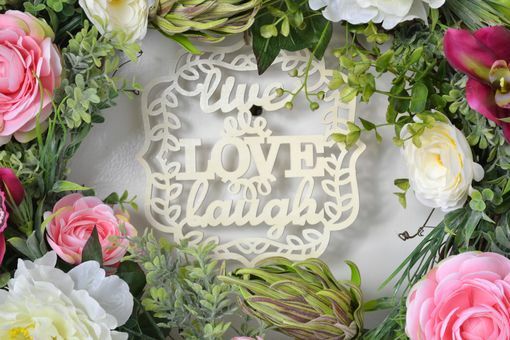 Live, Laugh, Love everyday with this front door wreaths. 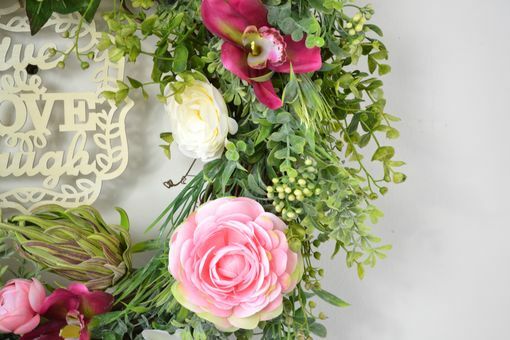 This Summer door wreath creation is filled with blossoming Orchids, Peony, Roses, Ranunculus, Tropical Cone, Chartreuse Green Apple, Bush Berries, Greenery and Eucalyptus in a 18in Grapevine wreath. 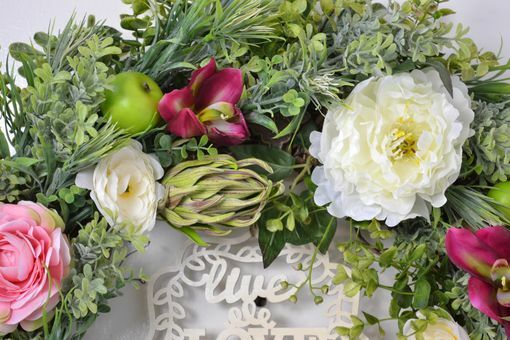 This home decor silk flower arrangement will spruce up any part of your home sweet home. 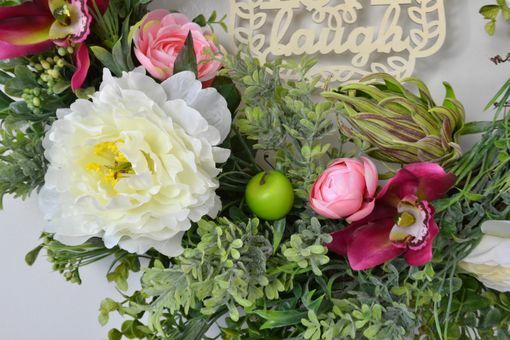 All of my floral wreath arrangements are unique thus you can consider it a personalized wreath. They are ready to ship and display right out of the box. Great as Personalized Gift, Housewarming Gift, Gifts for Mom, or Anniversary Gift. 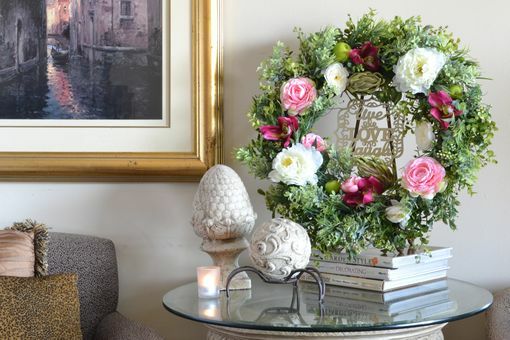 NOTE: All Home Décor used in the picture is not included.